Starr will lead DPS’ marketing team to develop omni-channel brand and communications strategies around the company’s award-winning skis and Phantom – the proprietary permanent base glide treatment that was unveiled in the fall of 2017. 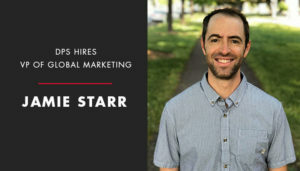 Starr’s past experience includes marketing roles with the Oberalp Group (Dynafit, Salewa, Wild Country and Pomoca brands) and Spyder Active Sports. During his time with these leading global brands he successfully created go-to-market campaigns for new product launches, planned and executed an array of consumer events, developed tactical dealer facing marketing initiatives and formed and managed athlete, ambassador and other strategic brand partnerships. Lake City, Utah, DPS designs the world’s most advanced ski products by fusing space age carbon technology with groundbreaking shapes. DPS is responsible for the world’s first and only pure pre-pregnated carbon fiber sandwich ski, the first 120mm-waisted powder pintail, the first rockered ski with sidecut, the Spoon – a convex three-dimensional shoveled ski with radical edge bevel and Phantom, a paradigm-shifting permanent, one time application base-coating that forever eliminates the need for waxing skis and snowboards. DPS products are sold on five continents and are the trusted brand of choice for serious skiers worldwide. For more information visit www.dpsskis.com or call +1.801.413.1737.